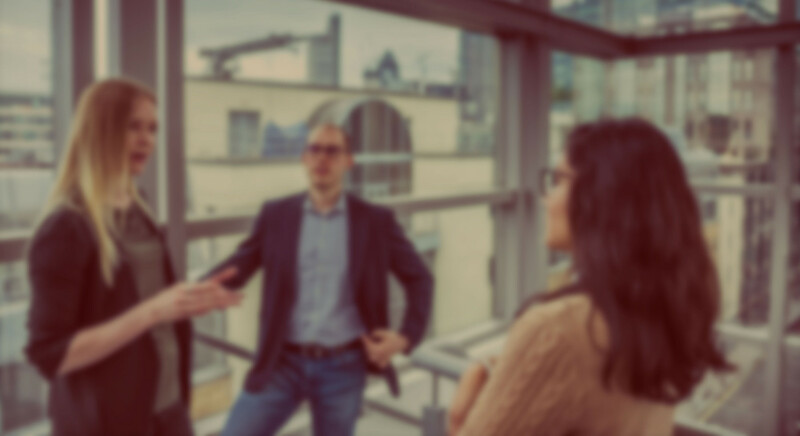 The Actuarial Management master's course is fully accredited by the UK Institute and Faculty of Actuaries and allows you to study the key areas of actuarial practice. You are a part-qualified actuary or a graduate from a recognised BSc or MSc in Actuarial Science or any other recognised programme with an actuarial flavour. You will have completed the equivalent of at least four subjects from the Core Principles stage of the professional examinations of the Institute of Actuaries, including both Actuarial Mathematics (CM1) and Actuarial Statistics (CS1). The MSc in Actuarial Management programme covers material relating to the second and third stages of the professional examinations of the Institute and Faculty of Actuaries, namely the Core Practices subjects and Specialist Principles subjects. Taking this master's degree at Cass means you are studying in the first institution in the UK to have both undergraduate and postgraduate programmes fully accredited by the UK Institute and Faculty of Actuaries. You can also gain exemptions from the IFoA's examinations. In particular you can gain exemptions in Actuarial Practice (Subject CP1), Modelling Practice (Subject CP2) and Communications Practice (Subject CP3) and most of the Specialist Principles (SP) subjects. From early 2019 there will be significant changes to the curriculum of Institute and Faculty of Actuaries professional exams (see Curriculum 2019 on the IFoA website for more details). Exam passes and exemptions achieved under the previous curriculum will be eligible for conversion to the Curriculum 2019 structure in line with the transfer guidelines published by the IFoA. Chat to one of our MSc Actuarial Management students now and have them answer your questions on everything from application to student life. Display the professional integrity, conduct and responsibility required by the actuarial profession. This module introduces the core elements of business management. It seeks to provide into three interrelated strands of business activity: general management, business strategy and marketing. The module aims to develop an understanding of the challenges and opportunities associated with working in contemporary organisations. It explores the business concepts and the issues firms face in gaining competitive advantage. On completion, you should be capable of analysing business environments, corporate strategies and marketing plans. The aim of this module is that upon successful completion, the candidate should understand strategic concepts in the management of the business activities of financial institutions and programmes, including the processes for management of the various types of risk faced, and be able to analyse the issues and formulate, justify and present plausible and appropriate solutions to business problems. This module is compulsory for all students electing to complete the MSc in Actuarial Management and provides students with an understanding of how to undertake independent research either in the context of a single organisation or by using third-party sources. Students also develop the necessary tools and skills to initiate, research and write up a business project and the module includes dedicated training in research methodology, availability of data sources, project writing, time-management and presentation skills. These skills will be invaluable to students in their future career whether or not they choose to complete the MSc by means of the Business Research Project. *Note that students are required to complete at least two SP modules from this list of electives. Please note that all Core Principles (CS, CM and CB) modules are subject to availability. These modules are hosted by the MSc in Actuarial Science and students on this programme will be given preference where space is limited. Health insurance is a specialist area. The continued provision of this insurance depends upon health insurers being profitable. The module provides an in-depth analysis of the theory and practice of health insurance from an actuarial standpoint. The aim of this module is to instil in successful candidates the main principles of actuarial planning and control, and mathematical and economic techniques, relevant to life insurance companies. The student should gain the ability to apply the knowledge and understanding, in simple situations, to the operation, on sound financial lines, of life insurance companies. This module enables you to gain exemption from Subject ST4 of the professional examinations of the Faculty and Institute of Actuaries. This module will provide you with an introduction to modern techniques of financial management, and examples of applications of these techniques to the business of managing assets and financing corporate entities. The course provides you with an introduction to the concepts of reserving and capital modelling in general insurance and provides you with the opportunity to gain an exemption from Subject ST7 of the syllabus of the Institute of Actuaries. This module provides students with the ability to apply, in simple pricing and reinsurance analysis situations, the mathematical and economic techniques and the principles of actuarial planning and control needed for the operation on sound financial lines of a general insurance company. This module provides students with understanding of how to model data, document the work, analyse the methods used and outputs generated, and how to communicate the approach, results and conclusions. To cover Subject CB1 of the UK actuarial profession, enabling you to obtain professional accreditation. The aim of the finance section of this course is to provide you with a basic understanding of the methods and types of instrument used by companies to raise finance. The aim of the financial reporting section of the course is to enable you to interpret the published financial statements of companies and financial institutions. To cover Subject CM2 of the UK actuarial profession, enabling you to gain professional accreditation. This module aims to provide you with the ability to use and critically evaluate modern financial theory, to construct asset-liability models and to value financial derivatives. Five specialised electives in term three to give them an understanding of a breadth of subject matter, both in actuarial science and in wider fields such as finance, investment, insurance and IT. You are required to submit a project of approximately 10,000 words on any subject area covered in the rest of the programme. Typical projects can involve any of the following: extracting data from electronic databases or by hand; statistical analysis of large or small populations; interviews; case studies of an industry or a sector or of a business / finance issue in a particular country setting. In order to be considered for an exemption for CP3, students must elect to undertake either a Business Research Project or an Applied Research Project and use their project findings to carry out an additional assessment for exemption purposes. See the MSc in Actuarial Management programme specification. All our courses are regularly reviewed to keep them up-to-date on issues of both theory and practice. Assessment of modules on the MSc in Actuarial Management, in most cases, is by means of coursework and unseen examination. Coursework may consist of standard essays, individual and group presentations, group reports, classwork, unseen tests and problem sets. Please note that any group work may include an element of peer assessment. a refresher course of advanced financial mathematics, statistics, computing and electronic databases. 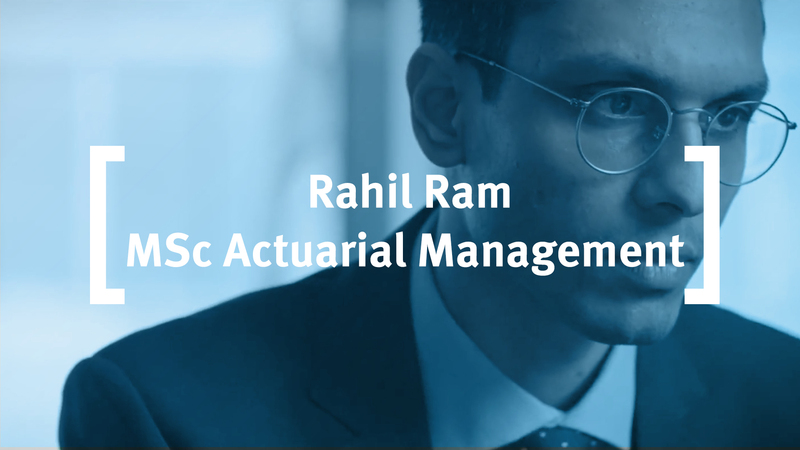 This knowledge and experience helps to inform the highly interactive lectures that make up the MSc in Actuarial Management. Students who are new to the field of actuarial science should apply for the MSc in Actuarial Science (covering the Core Principles examinations of the Institute and Faculty of Actuaries. Career pathways for graduates in MSc in Actuarial Management postgraduate programme are typically in actuarial roles. The type of employers varies, including consultancies, insurance companies, brokers, banks and supervisory authorities / central banks.